Need help resolving a legal matter? We at The Russell Friedman Law Group, LLP can help. Speak with our attorneys during a free evaluation! The Russell Friedman Law Group, LLP is a law firm that serves clients throughout New York, including Lake Success and Rochester. Our team of New York lawyers is led by Attorney Russell, who has more than 30 years of experience. Together, we aim to provide the high-caliber legal services our clients need and deserve. We accept cases involving employment law, real estate law, civil rights, commercial litigation, and product liability. We also provide health care consulting services for those who need help resolving no-fault claim issues through litigation, arbitration, and collection. We are driven by justice and our desire to help our clients reach a successful case outcome. Should a matter need to be taken to court, we know how to make effective use of evidence and how to protect the rights of our clients. Because no two cases are alike, we create and implement strategies that are creative and innovative for each matter in our care. If you would like to retain our services, please don't hesitate to call us today! We offer free case evaluations to all of our prospective clients. The Russell Friedman Law Group handles even the most complex employment law cases. At The Russell Friedman Law Group, LLP, our team of attorneys are known for placing the needs of our clients first and foremost. We strive to provide legal services of the highest quality. We focus on a wide range of practice areas, such as product liability, civil rights law, real estate law, and employment law. We also provide health care consulting and commercial litigation services. If you need skilled legal guidance, please contact us today for a free case evaluation! 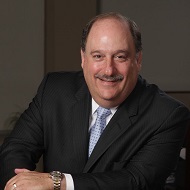 Attorney Friedman received his law degree from the Benjamin N. Cardozo School of Law and he completed his undergraduate studies at SUNY Buffalo. He is licensed to practice in New York, New Jersey, and the United States Tax Court. If you would like to speak to Attorney Friedman about your legal matter, please call us at your earliest convenience. We would be happy to set up a free case evaluation for you so that you can obtain some initial legal direction from our skilled team.